Metal Area - Extreme Music Portal > DREAMGRAVE - Presentiment Out Now! Full Version: DREAMGRAVE - Presentiment Out Now! Wrapped in an abstract, distress-filled fantasy the album presents their impressions about our world, our society, ourselves - the reason we are here and ultimately the ending we are headed. 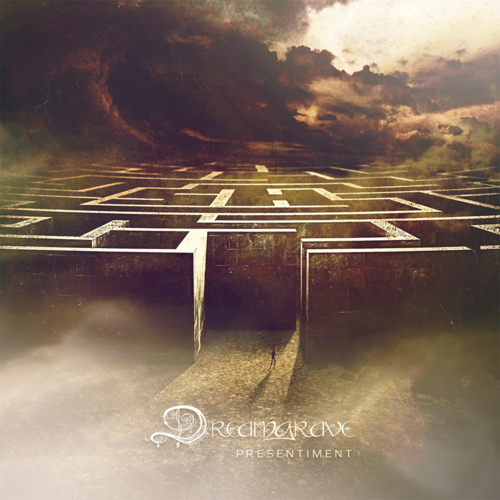 Dreamgrave`s Presentiment album is nothing less than a masterpiece. So many riffs, so many ideas, so many moods…all merging together into a fifty plus minutes long epic album, perfectly. It has a very consistent structure which emphasize each idea to it’s saturation point, creating a long and continuous opus which flowing easily and will leave you to crave for more. Though each second of this album is just amazing, the absolute high spots of it are the mammoth riffs, which are literally unparalleled for it’s sheer originality, and the melancholic soaring vocals and the astounding, apocalyptic lead guitar. Presentiment is a wonderful album. If you like doom, folk, death or just looking for a revolutionary album, you’ll be more than grateful for owning this album.